Although camo isn’t my color I couldn’t wait to get these on court. I got these last night from UPS and hit the court for some quick, definitely not competive games, as well as tonight in my league game. The court I played on was really clean but these really remind me of the Kobe IX pattern. If you like squeaky, here is your shoe. 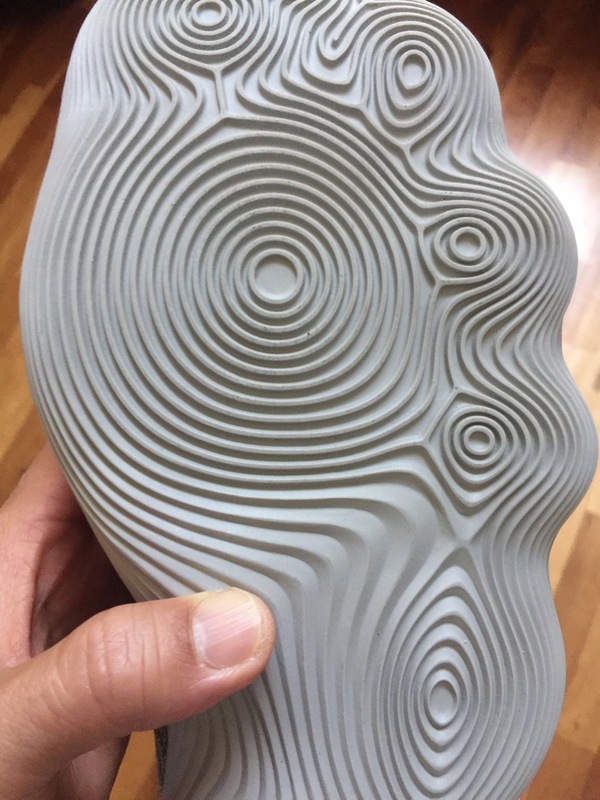 The rubber is nice and pliable and there are plenty of grooves and contact points. Once I get on dustier floors I’ll get a better idea but I’m very hopeful that Nike did this right. 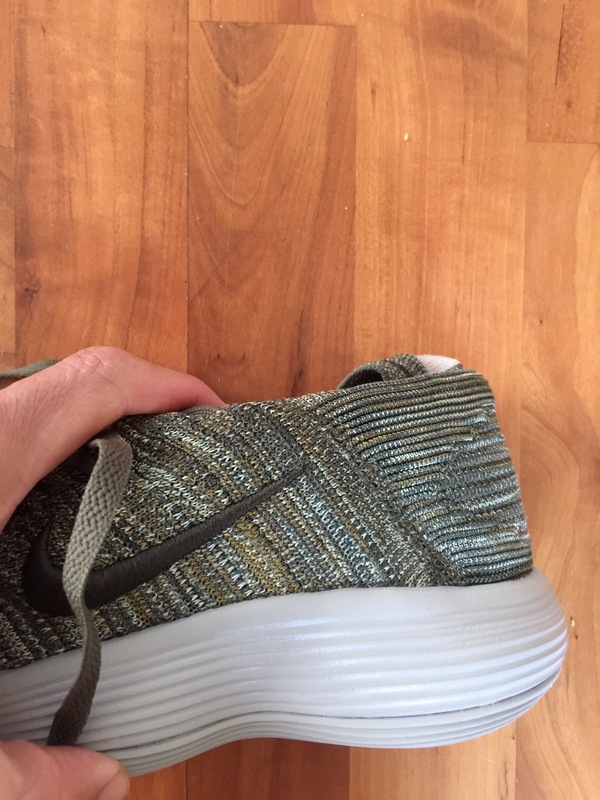 I really wanted to see what these felt like underfoot with the new React foam and although I was not blown away after two runs it is a an upgrade from Lunarlon of old. 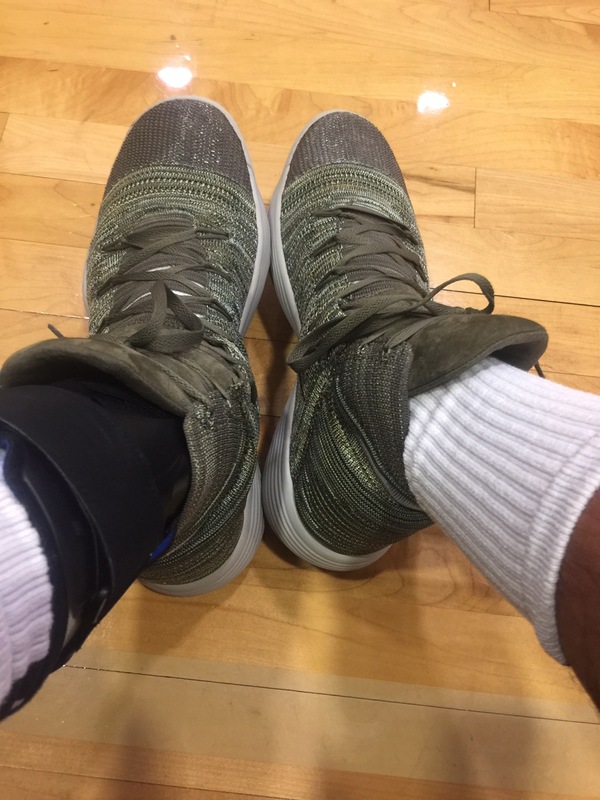 To me, it feels like the Lunarlon in a Lunarglide with a little more bounce and more “tuned” to basketball but nothing like pure Zoom or Boost. Blackfoam but a little firmer and lower would be a good comparison as well. Regardless of how it feels comparatively, it feels good overall and longer runs will give me a better idea of course. The big knock on Lunarlon is longevity and that is something that I won’t know for months. I fit both true to size and half size up but overall these run a touch short so I’d advise you to try true to size and half size up. Wide footers like myself will want to go half size up. No heel slip at all, no movement side to side and very little dead space above the forefoot. The tongue is sewn until the ankle collar so it isn’t difficult to get on. 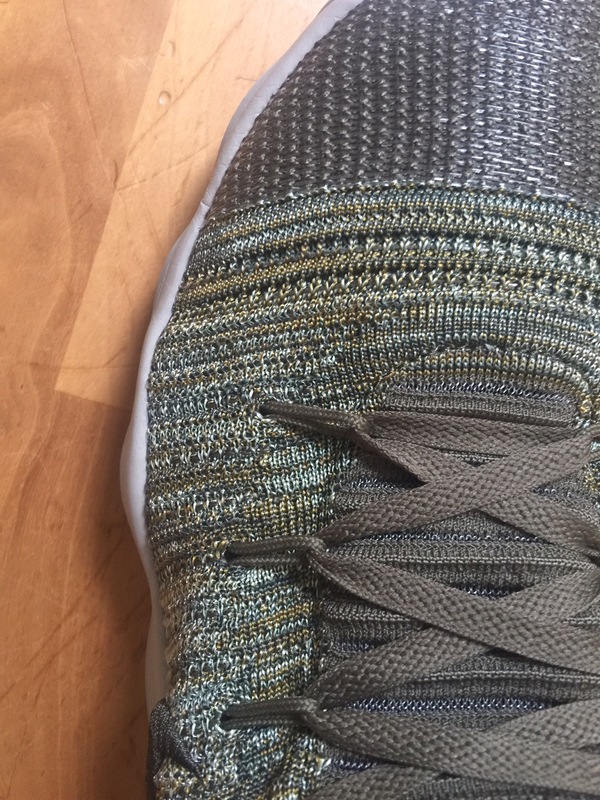 If you look closely you can see the TPU strands similar to the Kobe XI which still look like fishing line to me. 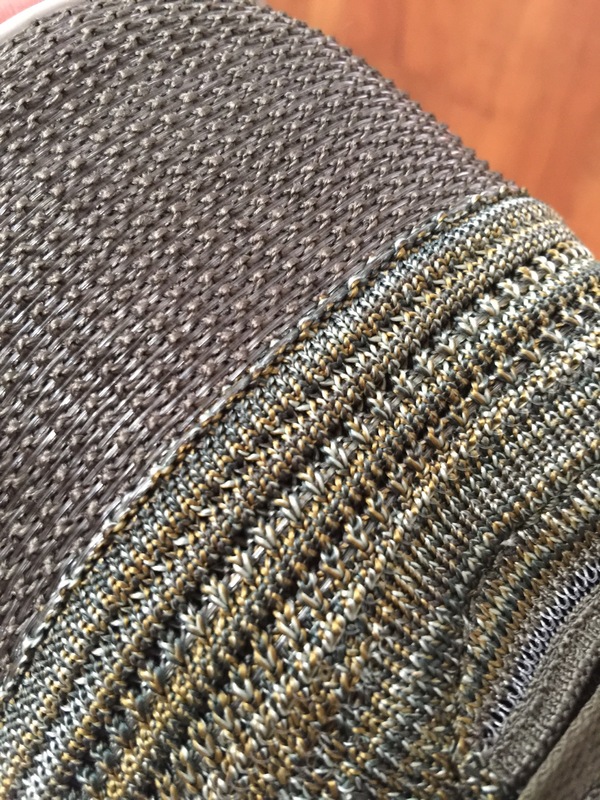 It isn’t stretchy like Primeknit but it is nice enough to me but then again I’m not a materials snob. 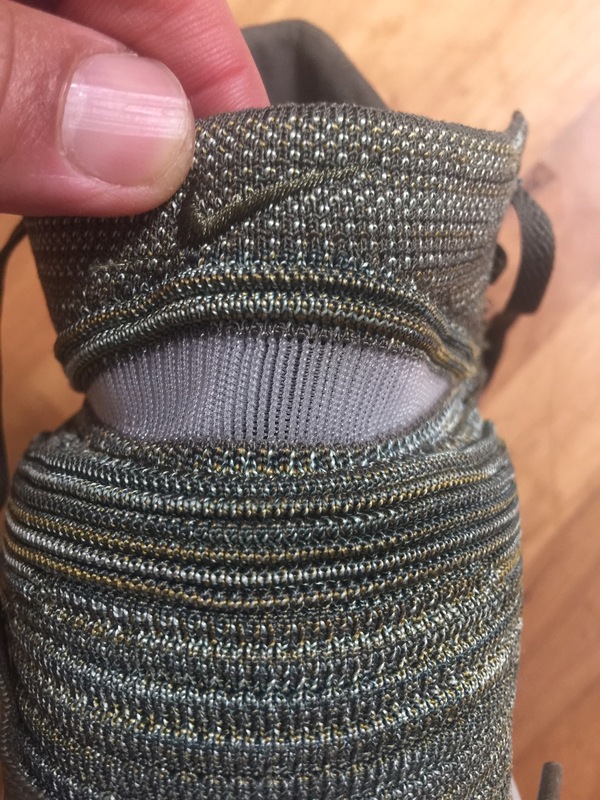 There is nylon backing the Flyknit so for you Knit purists, sorry keep looking. 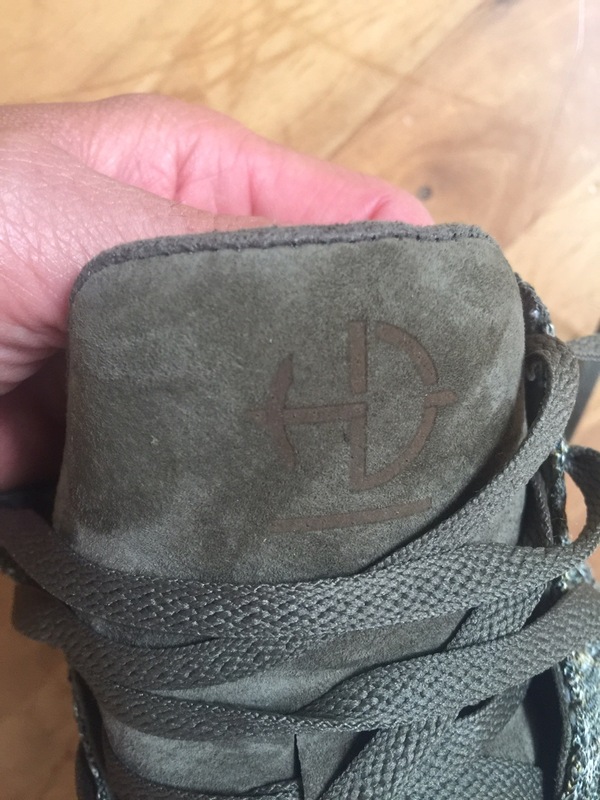 I doubt pairs other than this Nikelab will use suede in the tongue but this is some nice suede. No issues here. The ankle collar is flexible so it’s more for proprioception than support. 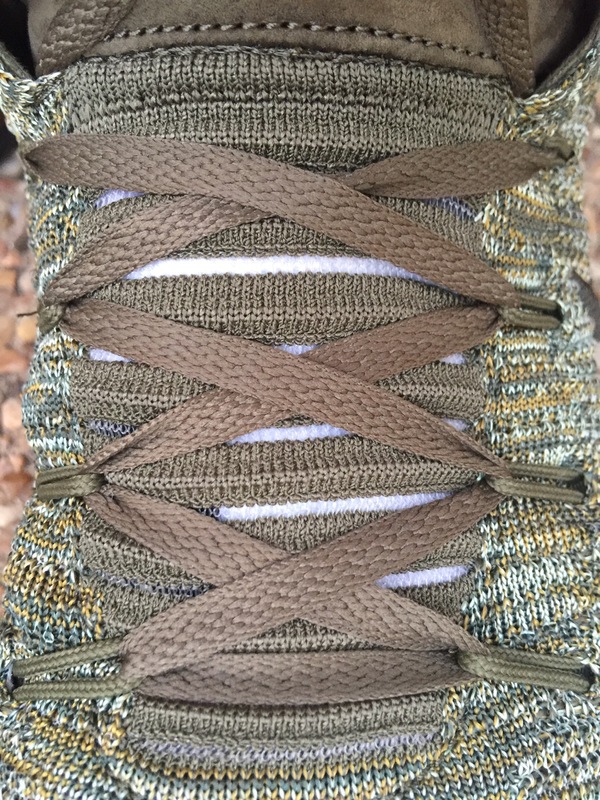 You can see Nike even cut out a piece to make it more flexible especially when running forward. No issues here either. My forefoot sits below the raised midsole wall around the third line from the top so my foot isn’t sliding out of the footbed. I was excited when I saw the pics and I’m still excited the HD17. Great traction (which As you know I highly value ) and fit so far, nice cushioning and adequate support..we might have a top 10 shoe rotation candidate here folks maybe even a shoe of the year. Camo is even growing on me yikes. It gets boring year over year when 95% of the shoes fail to impress me so nice job HD! Let me get some more reps in before I call it though. Wow that was quick, buddy. Love this cw and anxious for the full review (not and anxious to the react cushioning tho). How about the zamst? Haha I really like the Zamst. It takes up some room in the ankle collar but total freedom front to back and I forget it’s there when playing. And it isn’t complicated to put on. This is exciting! Had been thinking that these have potential—glad the potential is still there after your first impression. Too bad the React isn’t incredible, but hopefully it’ll break in nice. Looking forward to your full review. Glad your ankle is healing up! Thanks ! Of course with all HD wait for sales. What are like your top ten shoes for flat feet? Also, can you make a section in your reviews saying if it;s is good for flat feet. Did I just reply to you earlier ? Very promising project by Nike but i think i will choose the ordinary version. Apart from that i will patiently wait for your final verdict-outcome! Yep not much different except the upper ! Hey man. Good to see your health improving. 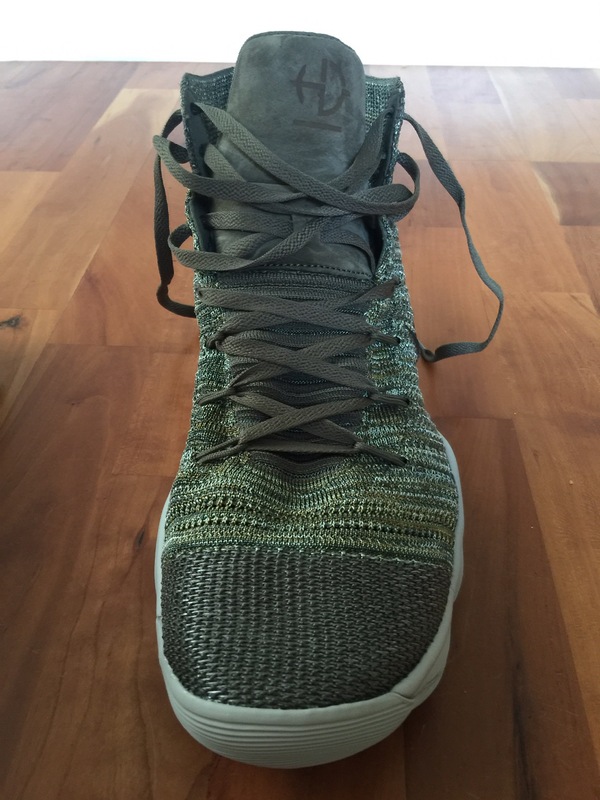 I gotta know, do these feel as bouncy and responsive as the lunarlon in KB XIs? I actually prefer my XI EMs cause I don’t like the “sinking-in” feeling of the heel in the zoom+lunarlon elite set-up. And I also have the JC3s that I’ve walked around in but have yet to play in them. Thanks and peace! 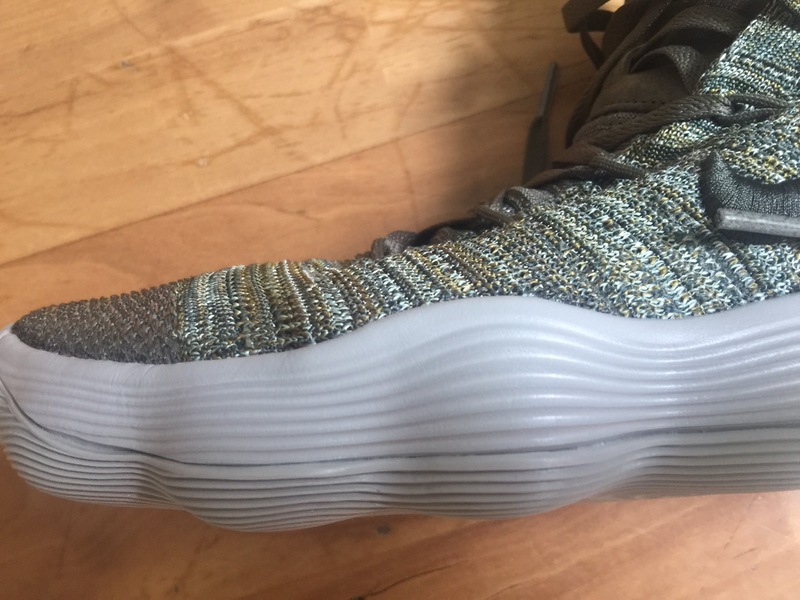 I’d say it’s more muted than the XI since you have a strobel btwn the foot and foam. Great initial impression. I just ordered mine yesterday. Very excited about this shoe. Sweet ! Let’s compare notes ! Good to see you making your way back on the court. Thanks Don! Great to be moving almost normal again. Hey schwollo! 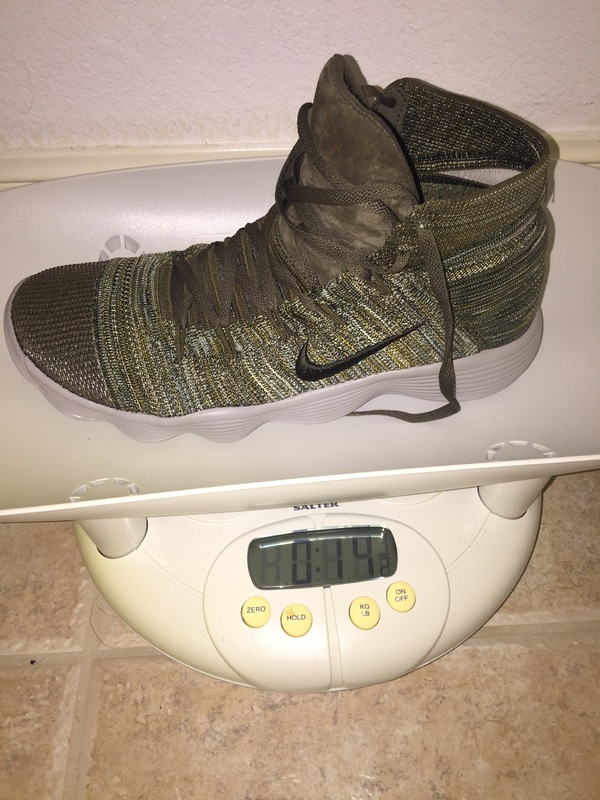 Do these hyperdunks feel light on foot? Can’t wait for the final version of the review. I seem to seeing a low version of these that look real nice, especially with the gum bottoms! I really hope they perform as well as my Kobe 9 Elites, as I think I need a replacement for those! Great looking shoe – hopefully it is a performer! Do these feel low to the ground? How’s the traction so far with dust? 8.5 Crazy Explosive Primeknit should I go 9 in these? I’ve got wide flat feet with a tailor’s bunion. Is this better than the HD16? Is the cushion setup better than PG1’s? Really looking at getting these. I think the hd cushioning is alot better feeling than the Pg1.